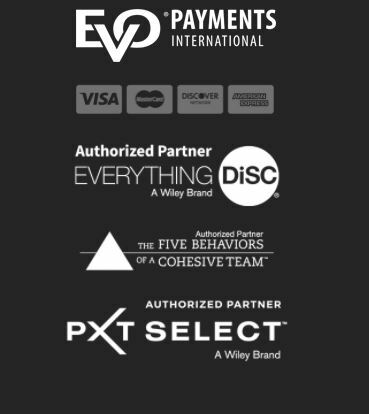 Everything DiSC® Comparison Reports are follow-up reports that you may create for any two Everything DiSC Profile participants to illustrate their similarities and differences. 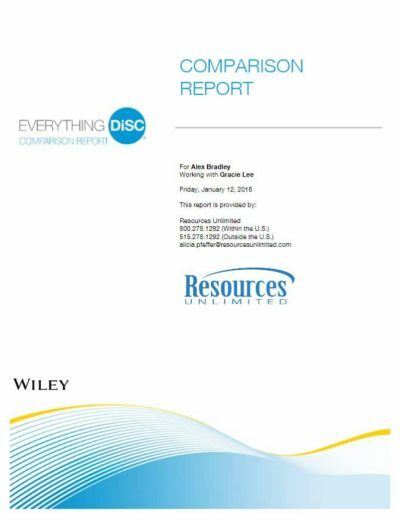 The research-validated 11-page Everything DiSC Comparison Reports help to build better relationships and make DiSC training stick. 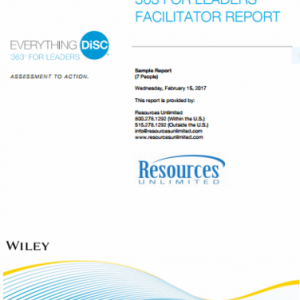 The Everything DiSC Comparison Reports explore how participants compare on six different pairs of traits that are measured by their DiSC assessments. Six of the nine traits shown below are automatically chosen that are found to be most significant for the relationship. 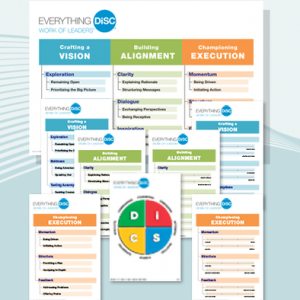 The Everything DiSC Comparison Reports offer a process that will help each person discover how they fit on the trait continuum, personalize their report, and apply what they’ve learned. 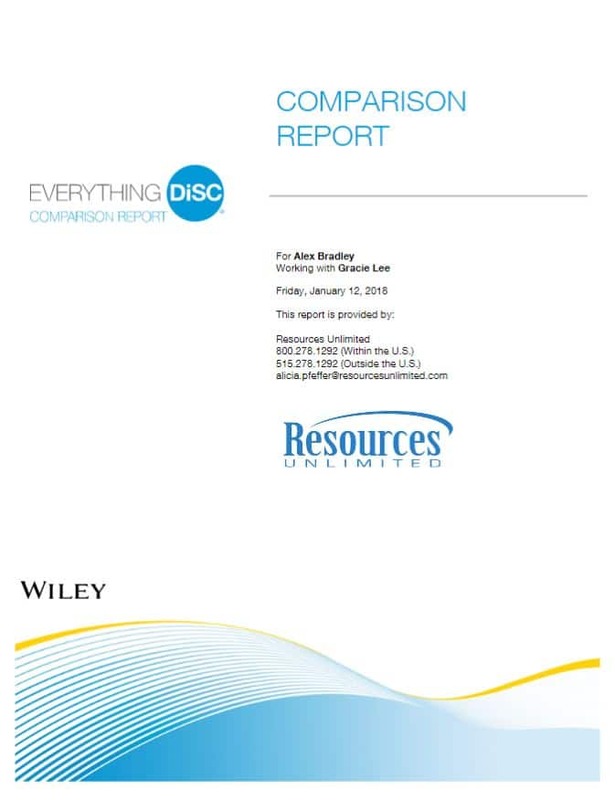 Everything DiSC Comparison Reports may be used for all of the Everything DiSC training programs allowing you to create reports for coworkers and for managers and their direct reports.